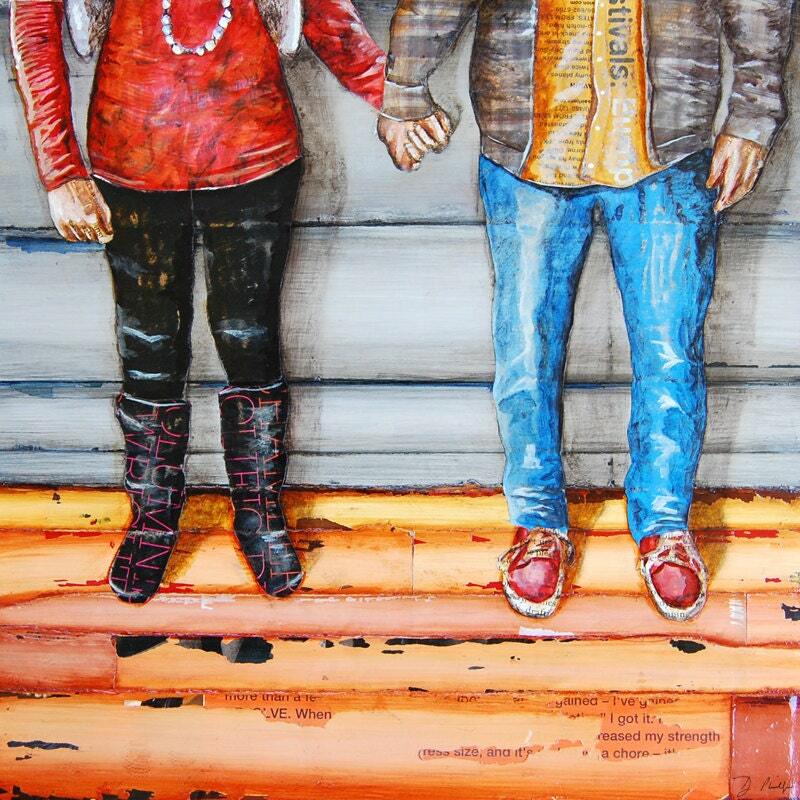 Being hand in hand beside the one you love is the ultimate fix in life. Standing still together ready to beat any obstacle ahead. piece done on a raised art panel. 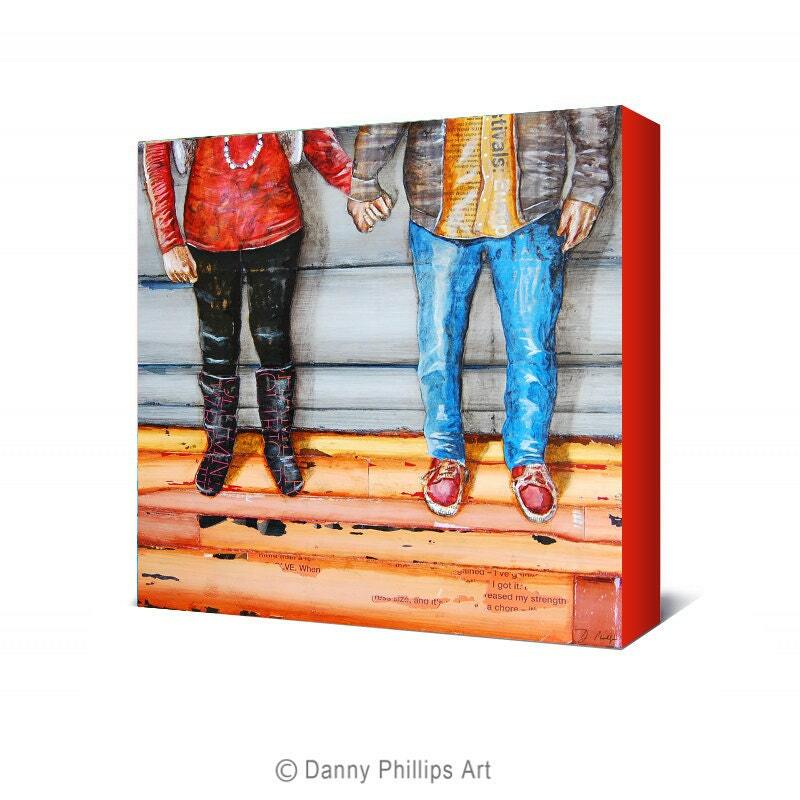 The Wrapped CANVAS is 1.5 inches deep with red sides and has a gloss finish. It is mailed in a non-bendable mailer, tube, or box depending on the size. **Prints ship 1-2 business days, Canvases ship 3-5 business days. 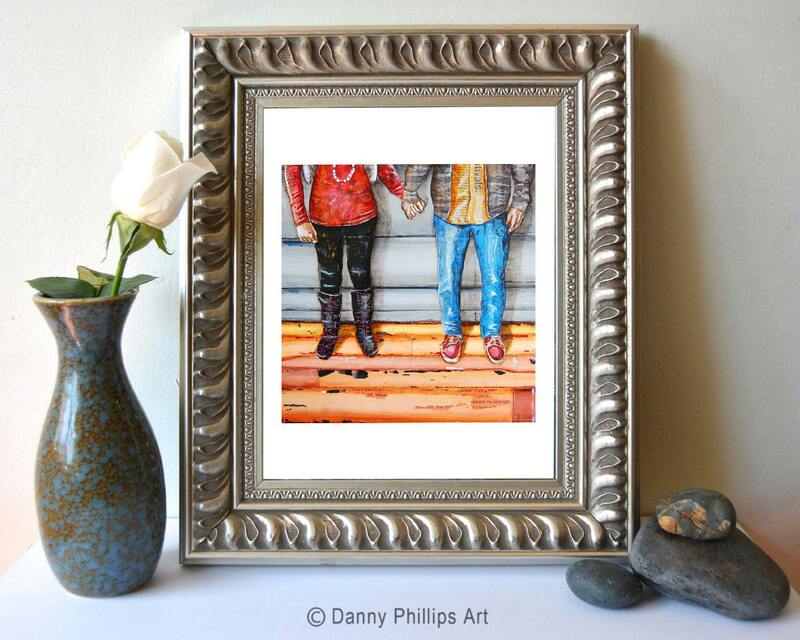 This reminds me of my husband and I so I did a collage of a few of these prints - very nice prints and good value.